Yaxha (or Yaxhá in Spanish orthography) is a Mesoamerican archaeological site in the northeast of the Petén Basin region, and a former ceremonial centre and city of the pre-Columbian Maya civilization. Yaxha was the third largest city in the region and experienced its maximum power during the Early Classic period (c. AD 250–600). The city was located on a ridge overlooking Lake Yaxha. 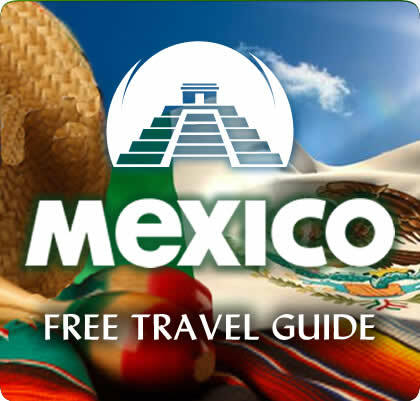 The name of the city derives from the Mayan for “blue-green water”; it is a notable survival of a Classic period place-name into the modern day. The Yaxha kingdom is estimated to have covered an area of 237 square kilometres (92 sq mi) and to have had a peak population of 42,000 in the Late Classic period of Mesoamerican chronology. Yaxha had a long history of occupation with the first settlement being founded sometime in the Middle Preclassic period (c. 1000–350 BC). It developed into the largest city in the eastern Petén lakes region during the Late Preclassic (c. 350 BC – AD 250) and expanded into an enormous city during the Early Classic (c. AD 250–600).At this time, in common with other sites in Petén, it shows strong influence from the distant metropolis of Teotihuacan in the Valley of Mexico. It was eclipsed during the Late Classic (c. AD 600–900) by neighbouring Naranjo but was never completely dominated. The city survived well into the Terminal Classic (c. 800–900) but was abandoned by the Postclassic period (c. 900–1525). The ruins of the city were first reported by Teoberto Maler who visited them in 1904. The site was mapped in the 1930s and again in the 1970s and stabilisation work began in the late 1980s. The ruins include the remains of more than 500 structures with a number of major archaeological groups linked by causeways. Approximately 40 Maya stelae have been discovered at the site, about half of which feature sculpture. The name Yaxha derives from the Mayan yaxa’, which means “blue-green water”. Yaxha is notable for the survival of its toponym from the Classic period, when it was a thriving city. David Stuart first proposed that the emblem glyph of the site should be read Yax-ha and that the name of the city (and the lake) is of ancient origin. Located in the modern-day department of Petén, northern Guatemala, it is approximately 30 kilometres (19 mi) southeast of Tikal; Yaxha is situated on the north shore of Lake Yaxha; the ruins extend roughly 3 kilometres (1.9 mi) along a hilltop parallel to the lake shore. The ruins fall within the borders of the Yaxha-Nakum-Naranjo National Park, which encompasses an area of 37,160 hectares (143.5 sq mi) and incorporates the remains of four ancient Maya cities: Yaxha, Topoxte, Nakum and Naranjo, as well as 10 intermediate sites and more than 280 smaller settlements. Yaxha was already significant in the Late Preclassic (c. 350 BC – AD 250), and was a large site as far back as the Middle Preclassic (c. 1000–350 BC). Archaeological investigations indicate that the earliest, Middle Preclassic, settlement was in what developed into the southern and western sectors of the city. In the Late Preclassic the city became the largest settlement in the Yaxha-Sacnab basin, with a marked increase in population and in construction activity. The city reached the height of its power during the Early Classic period of Mesoamerican chronology (c. AD 250–600), during which period the city expanded enormously. The city’s Early Classic monuments are poorly preserved, meaning that the history of its period of maximum power is poorly understood. The influence of the distant metropolis of Teotihuacan in the Valley of Mexico is evident in Early Classic imagery following Teotihuacan’s decisive intervention at Tikal in AD 378. At the end of the Early Classic, seismic activity caused movement of the Yaxha Fault, resulting in damage to buildings in the East Acropolis. The same earthquake appears to have caused damage across the city and at neighbouring Nakum. The earthquake may have resulted in the temporary abandonment of the East Acropolis. During this period the city established itself as an important centre on the trade routes that crossed the Petén lakes region. In the Late Classic (c. AD 600–900) the city developed with major construction projects taking place across the city centre, especially during the 8th century; the twin pyramid complex is an example of one of the major construction projects undertaken at this time. At this time the city became an important trading centre to the southeast of the great city of Tikal. During the Late Classic the city fought several wars against the neighbouring city of Naranjo, which had eclipsed Yaxha in power but was never able to complete dominate it. In 710, king K’ak’ Tiliw Chan Chaak of Naranjo sacked Yaxha, captured its king and sacrificed him. In the latter 8th century, king K’ak’ Ukalaw Chan Chaak of Naranjo took a Yaxha princess as his wife; Lady Shell Star provided the king with his heir. This heir was unable to maintain peace between the cities and Itzamnaaj K’awiil of Naranjo went to war against Yaxha and its allies in AD 799, launching assaults against his mother’s city in July and September of that year, some months after defeating a number of Yaxha’s satellites. He managed to capture K’inich Lakamtuun, Yaxha’s king. There is no evidence of the rapid collapse of the Yaxha polity in the Terminal Classic (c. AD 800–900) as took place at other cities in the vicinity. Instead there is evidence of renewed and widespread construction activity. It is apparent that the local elite made every effort to prolong the city’s Late Classic political system. Some entry controls to the city were removed in order to encourage the flow of visitors to Yaxha from surrounding areas that were more immediately affected by the Classic Maya collapse. During the Postclassic (c. 900–1525) there is some evidence of activity at the site associated with the inhabited islands of Lake Yaxha but these were not in any way associated with occupation of the city itself, rather consisting of pieces of ceramic and food refuse left at the city by the islanders. Teoberto Maler first reported Yaxha’s existence after visiting the ruins in 1904. The Carnegie Institution of Washington mapped the ruins in the 1930s and the site was again mapped in the early 1970s, at which time text excavations were undertaken. The Proyecto Nacional Tikal (“National Tikal Project”) carried out a survey of architectural damage at Yaxha in 1987 and in 1988 the first work was undertaken in order to stabilise some of the structures. Archaeological excavations have continued into the 21st century; The South Acropolis was excavated from 2005 through to 2007. 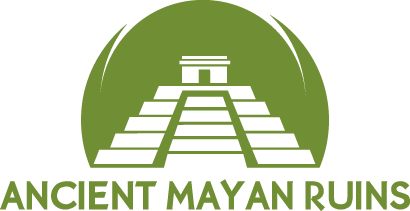 The early 21st century excavations of Yaxha formed a part of the Peten Sustainable Development Programme (Programa de Desarrollo Sostenible de Petén) funded by the Banco Interamericano de Desarollo (Inter-American Development Bank). Yaxha is the third largest ruin in Guatemala, with only Tikal and El Mirador being larger. The centre of the city consisted of a number of plazas and architectural groups, with outlying groups and the lake shore linked by causeways. The main architectural groups are the Maler Group to the north, linked to the central area by the Blom Causeway; the South (or Main) Acropolis, the West Group, the Northeast Acropolis, the East Acropolis and a number of plazas and lesser groups make up the site core. The city was linked to the shore of Lake Yaxha by the Lake Causeway. Plaza A is a twin pyramid complex. Ten main communication routes have been identified in the city, with the four principal routes having been classified as causeways by archaeologists, with the remainder classed as “vias”. Yaxha was more densely occupied than most other Maya cities. The site has more than 500 structures, including about 40 stelae, 13 Altars, 9 temple pyramids, 2 Mesoamerican ballcourts, and a network of sacbeob (causeways) that connect the central, northern (Maler), and eastern ‘acropoleis’, and the Lake causeway that was the main entrance in the past. The top of Temple 216 (restored) provides a view of the two lakes on one side and the jungle and the stepped-pyramids on the other. Yaxha possesses one of very few twin pyramid complexes outside of Tikal; the fact that the site holds a twin-pyramid complex provides a visible insight into the political alliances that eventually influenced the architectural style of the city at its peak, although it appears that the complex at Yaxha was unfinished.